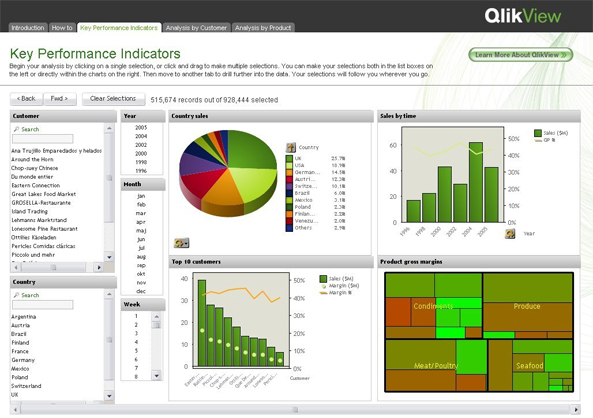 Qlikview and Qliksense are robust business intelligence and data visualization tools powering business decisions of many small to large scale organizations. Rapidly deployable, highly customizable, robustly scalable, and easily extendable, Qlik is a product that can be used to handle any scale of data easily. The business intelligence solution can be deployed on premise or on cloud, and is easily integrated with all types of data marts and database types. From marketing companies to data repositories, we have catered to all domains. Our experienced data scientists can guide you on how to best utilize raw data. We are experts in integrating multiple data sources in single solution. We are experts in creating Qlikview based frontend apps. 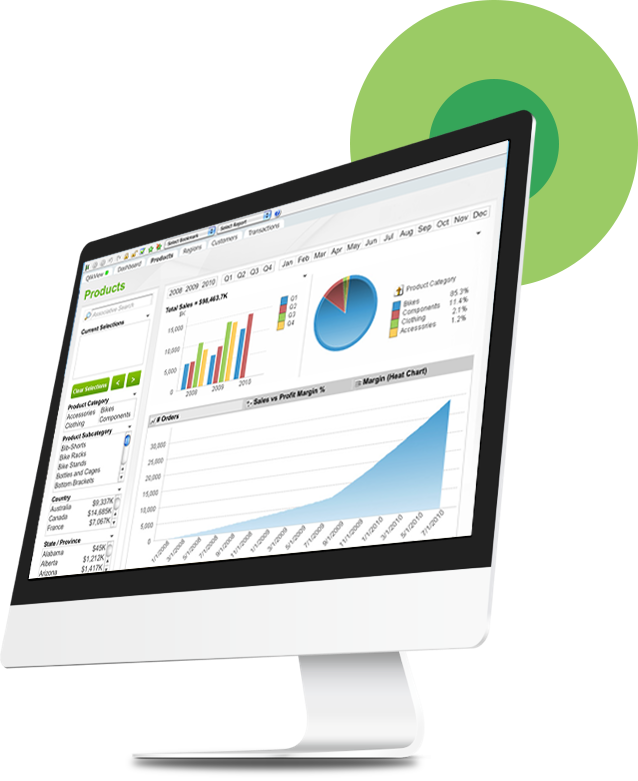 We develop custom reports, dashboards, business notification solutions, and decision tree algorithms using Qlikview. 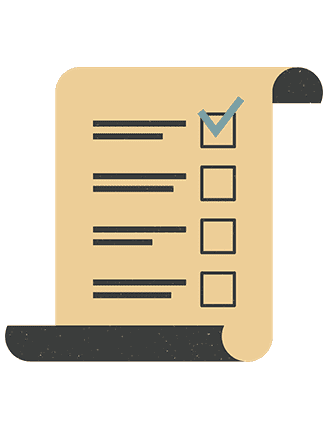 We help companies setup cloud based or on-premise based data marts and data aggregation centers to improve data extraction. 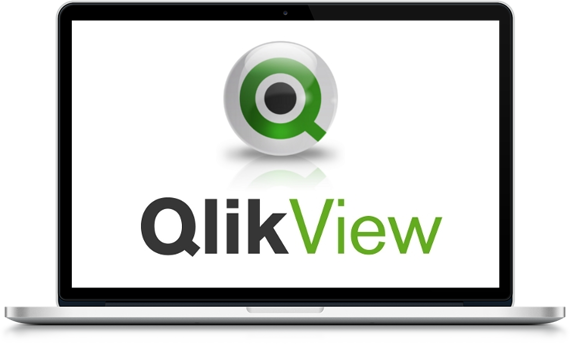 We develop custom Qlikview apps to extend the functionalities of your Qlik solution. All our apps are reusable with modular architecture. We advise companies on making more out of their Qlikview solution. We develop robust web data visualization and data analysis solutions using Qlikview and Qliksense. Is your data Qlik ready? Before data can be easily and speedily analyzed, it needs to be aggregated, curated, and properly segmented to accelerate extraction of insights. We help companies in preparing their data and making it Qlik Ready. We develop custom scripts to aggregate data from various locations and save it in special data marts. We can cluster multiple servers, simplifying collection of data from multiple sources. We are experts on all cloud platforms and can help you prepare your solution on a cloud infrastructure.